From Peg Leg Pete: “Re: Problems at Baptist Health. As a group concerned with how EHR implementations are affecting hospitals and their financial situations, we are currently seeing some problems in Florida. 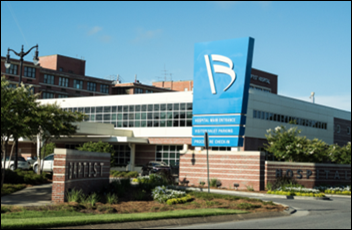 Baptist Health in Pensacola is having delays and cost overruns on their Allscripts implementation. The hospital may face layoffs. As it’s a private hospital, this news isn’t reported publicly.” The 492-bed Baptist Health selected Allscripts in 2015, deciding to implement Sunrise plus a number of other financial and population health management technologies. The provider’s bond ratings agency noted in April of last year that it had taken on a $22 million loan from Allscripts to fund the roll out. New poll to your right or here: Given the latest round of industry speculation around Apple’s healthcare efforts, do you think it is truly capable of moving the patient-centered interoperability needle? I know it’s a loaded question, and so I’m hoping you’ll expound on your “yes” or “no” by leaving a comment. Welcome to new HIStalk Platinum Sponsor PatientPing. 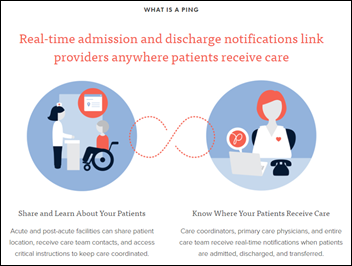 The Boston-based, Silicon Valley-backed company is building a network of providers who are notified via real time "pings" when their patients receive care elsewhere, allowing them to share care instructions for better care coordination. 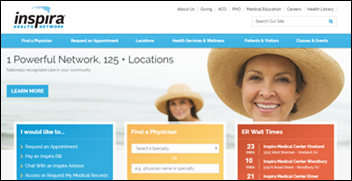 The network includes physicians, nurses, case managers, and care coordinators in hospitals, EDs, ACOs, physician practices, SNFs, home health agencies, and payers, all of whom rely on PatientPing’s network to support their delivery of high-quality, cost-effective care with improved patient outcomes and experience. I interviewed CEO Jay Desai earlier this year and he did a great job explaining the company’s lightweight technology, the resulting workflow, and its business model. Thanks to PatientPing for supporting HIStalk. 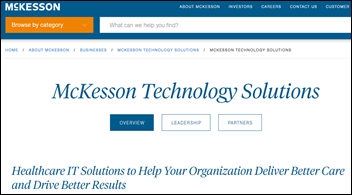 Reuters reports that McKesson is discussing a merger of its Technology Solutions IT business with Change Healthcare (the former Emdeon). An independent investigation recognizes Healthcare.gov as the second-most secure consumer website, while Twitter took top honors. Doctors at the University of Pennsylvania are seeking approval to use CRISPR gene editing technology on humans for the first time. Federal agents have arrested 300 suspects in the largest ever crackdown on Medicare fraud, with suspected losses totaling $900 million. CMS reports that more than 110,000 EPs and over 2,400 hospitals have been paid a combined $5.7 billion in EHR incentives from Medicare and Medicaid. The VA establishes a goal of conducting more than 200,000 clinic-based telemental health consultations in fiscal year 2012. An FDA report finds that software problems cause 24 percent of medical device recalls. The US Supreme Court refuses to consider an appeal by former McKesson Chairman Charles McCall to overturn his 10-year prison sentence for scheming to inflate company revenue. Richard Granger, head of NHS Connecting for Health in the United Kingdom, has announced that he will leave the program at the end of the year. Pro basketballer Dikembe Mutombo buys a smartcard-driven EHR for a hospital in the Congo. Last week’s survey: What characteristics made the worst doctor you’ve ever had so bad? This week’s survey: What is the best practice you’ve seen for a company to encourage gender equity? Rumors circulate that Apple wants to store health information on the IPhone, and work with EHR developers to allow users to export information to providers as needed. The House Appropriations Committee approves a $65 million down payment toward the VA’s Cerner procurement, with the stipulation that it will integrate with both DoD and private EHR systems. Kieran Murphy is named president and CEO of GE Healthcare, succeeding John Flannery who has been promoted to CEO and chairman elect of GE. An OIG report concludes that CMS inappropriately paid eligible providers $729.4 million in EHR incentive payments. ChartSpan Medical Technologies raises $16 million in a venture round led by Cypress Growth Capital, bringing its total funding to $22.15 million since launching five years ago. The Greenville, SC-based chronic care management-focused technology vendor plans to create 300 jobs over the next 18 months and expand beyond its Appalachian borders. Inspira Health Network (NJ) announces plans to open the Inspira Innovation Center to develop and commercialize patient-focused health IT. TIAG will customize its Warrior Performance Platform to meet the needs of US Navy sailors. 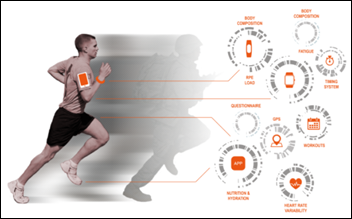 Originally developed for training programs for Special Operations forces, the WP2 will evolve into the Human Performance Self-Service Kiosk, enabling sailors to log fitness, training, and nutritional goals, plus sync them with data from select wearables. 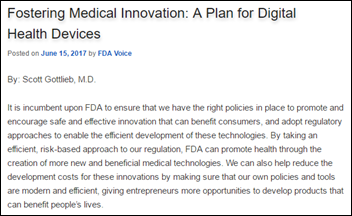 No word on whether the data will eventually link with the DoD’s MHS Genesis EHR from Cerner. Wadley Regional Medical Center At Hope (AR) will go live with Cerner in December. A Global Cyber Alliance survey finds that US hospitals have, for the most part, not yet invested in cybersecurity tools at an enterprise level – a statistic that bodes well for hackers looking to take advantage of organizations that have made themselves sitting ducks either through lackadaisical attitudes on the part of upper management or lack of funds. Just six of the 50 largest public hospitals have adopted an email authentication, policy, and reporting protocol known as DMARC. Presumably bigger budgets have enabled 22 of 48 for-profit hospitals to implement DMARC; only one of those has implemented it to the level that it prevents suspicious emails from hitting inboxes. Researchers from the University of Miami Miller School of Medicine and the California Pacific Medical Center will use a $300,000 grant from the Muscular Dystrophy Association to develop and integrate an ALS Toolkit with Epic. The kit will consist of a set of smart forms within the EHR that will help MDA ALS Care Center providers collect and access standardized health data for clinical and research purposes. 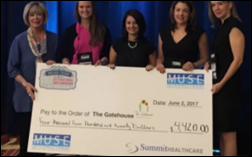 Summit Healthcare helps raise money for The Gatehouse, this year’s MUSE conference’s selected charity. QuadraMed, a division of Harris Healthcare, will exhibit at the Wisconsin Rural Health Conference June 21-23 in Wisconsin Dells. Salesforce will accept applications for its incubator program through July 15. The SSI Group renews its HFMA Peer Review designation for the sixth consecutive year. Versus Technology offers its RTLS for wayfinding initiatives using Bluetooth Low Energy networks. Zirmed will exhibit at the CAPG Annual Conference June 22-28 in San Diego. LogicStream Health will exhibit at the 2017 AMDIS Physician Connection Computer Symposium June 20-22 in Ojai, CA. Looks like InterSystems in the Middle East is on a winning bend. 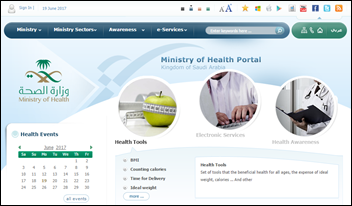 Mediclinic Middle East a group of seven hospitals and fourthy clinics has signed with InterSystems across all the facilities to deploy TrakCare. The solution will include RCM and Clinicals.